Arsenal are in desperate need of defenders, as Stephan Lichtsteiner is the wrong side of 35 and has looked well out of his depth this season, whilst Shkodran Mustafi and Nacho Monreal need replacing. In midfield, Arsenal could also be very light come the summer as Aaron Ramsey is set to join Juventus, whilst the out-of-favour Mesut Ozil could depart. The France international is soon to be out of contract in Paris, and has attracted interest from a number of top clubs such as Barcelona, Tottenham, Bayern Munich and Liverpool as well as Arsenal. 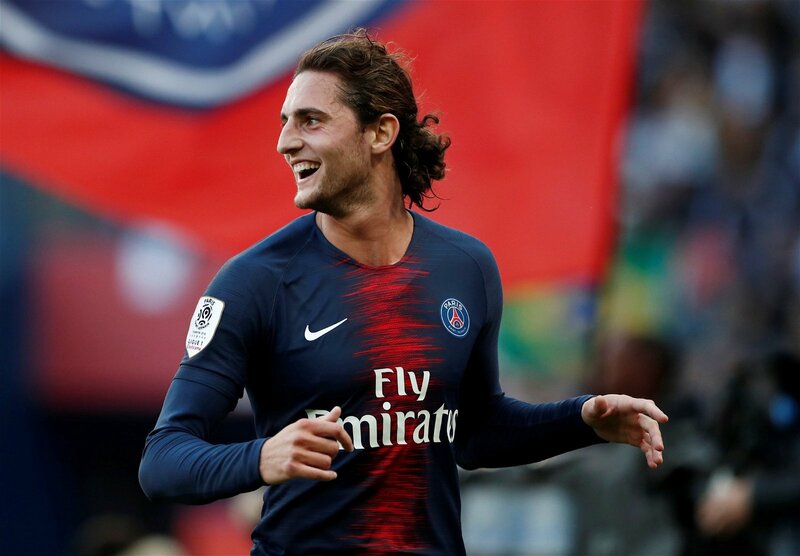 Rabiot has reportedly rejected a new contract with the Parisians, and would be an excellent signing to offset the loss of Ramsey and the potential loss of Ozil. The 23-year-old is a classy operator in the middle of the park, and if the Gunners could beat the aforementioned clubs to his signature, it would send out a real statement of intent. With Nacho Monreal set to turn 33 at the end of February, and Sead Kolasinac still looking slightly unconvincing albeit improved, Arsenal should look to the market for a dependable left-back – even Granit Xhaka has had to play in the position at times this season. As reported by Mundo Deportivo, the Gunners are interested in Benfica left-back Alejandro Grimaldo – Emery should spend the bulk of his budget on the Spaniard, who Transfermarkt value at £25.2million. With the remaining £15m or so, Emery should look to sign a centre-back. One name that has already been mentioned in association with the Gunners is Real Valladolid defender Fernando Calero, who was the subject of interest in January – the Spaniard has a €11m (£9.63m) release clause. The centre-back was also of interest to Borussia Dortmund and Sevilla, but remained at Valladolid. However, he is almost certainly going to be under the transfer spotlight yet again in the summer. With Sokratis and Laurent Koscielny 30 and 33 years of age respectively, a move for 23-year-old Calero for that price would be excellent business.